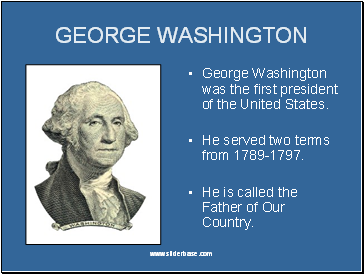 He served two terms from 1789-1797. 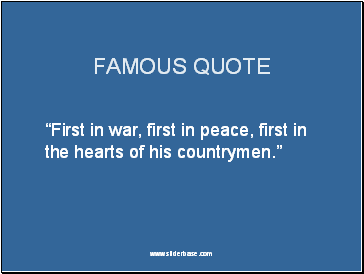 He is called the Father of Our Country. The United States fought England in the Revolutionary War. 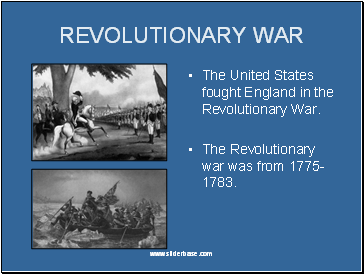 The Revolutionary war was from 1775-1783. 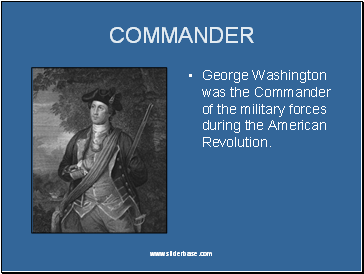 George Washington was the Commander of the military forces during the American Revolution. 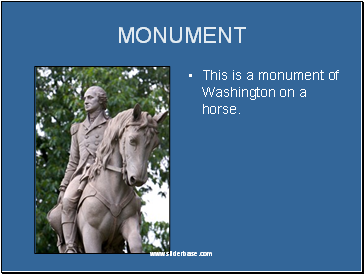 This is a monument of Washington on a horse. 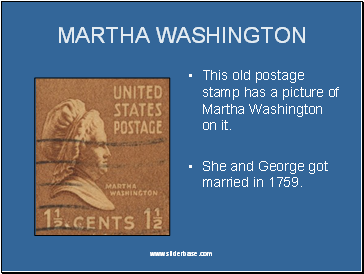 This old postage stamp has a picture of Martha Washington on it. 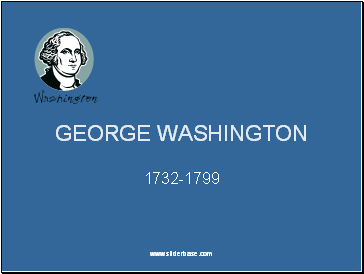 She and George got married in 1759. 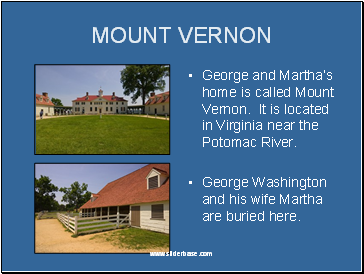 George and Martha’s home is called Mount Vernon. It is located in Virginia near the Potomac River. George Washington and his wife Martha are buried here. 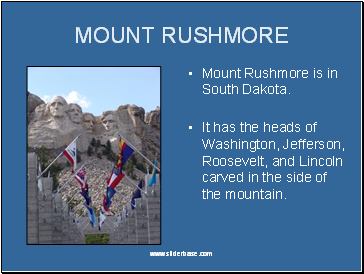 Mount Rushmore is in South Dakota. It has the heads of Washington, Jefferson, Roosevelt, and Lincoln carved in the side of the mountain. 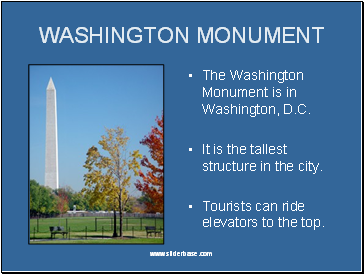 The Washington Monument is in Washington, D.C. It is the tallest structure in the city. Tourists can ride elevators to the top.